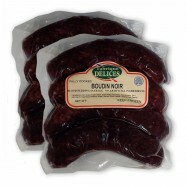 Merguez sausage is a spicy lamb sausage originating fromNorth Africa. 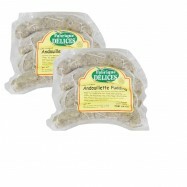 This Pork-Free, all natural Merguez sausage is made with 100% lamb meat, casing included. It is prepared with olive oil and seasoned with coriander, marjoran, caraway and nutmeg. 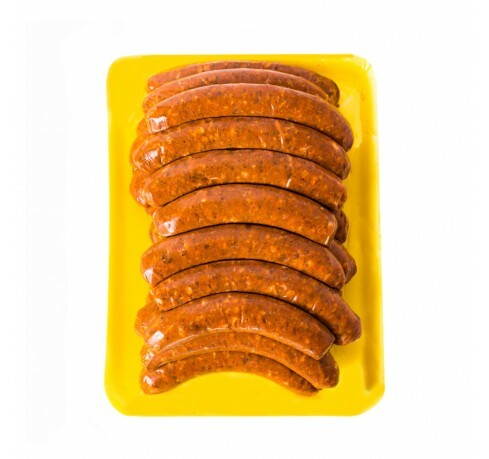 The cayenne pepper and paprika spices give this Merguez sausage its authentic Mediterranean flavor and its notable red-orange color. Spicy lamb sausage is a must when preparing couscous and tagines. 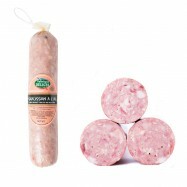 It is a great and tasty sausage for grilling and barbecuing. 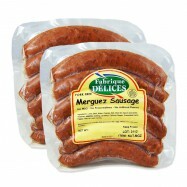 Merguez is usually served with harissa (puree of dried hot peppers) for added spiciness. This gourmet sausage is handmade the North African traditional way by a California-based company provider of artisanal charcuterie to the White House. 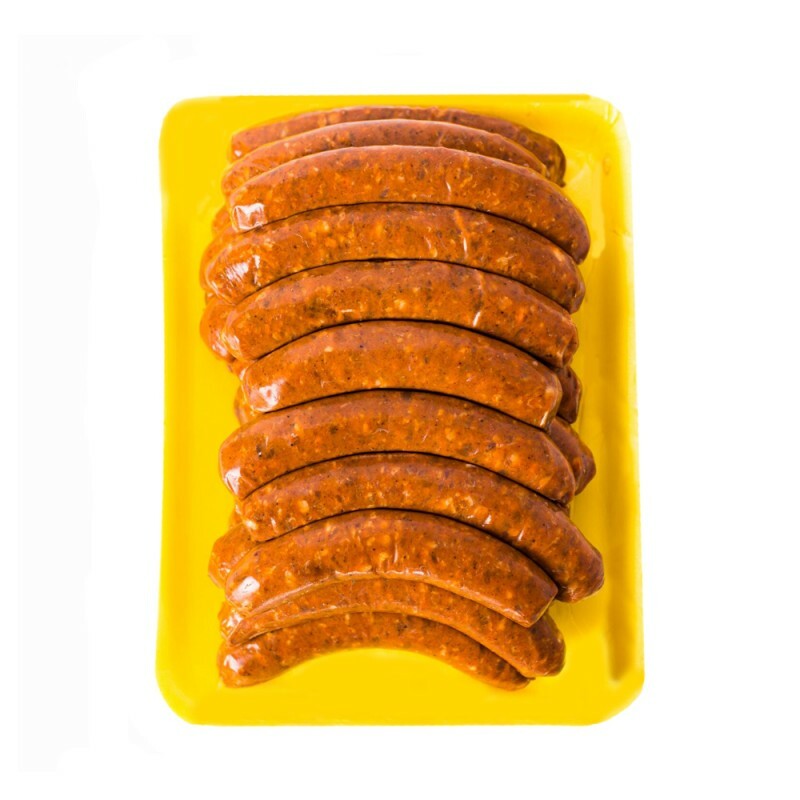 The meat used in this merguez sausage is guaranteed hormones & antibiotics free without preservatives, MSG, nitrites and artificial ingredients. Pairs well with a robust red wine. Comes in a pack of 24 links of approx 3Lbs.